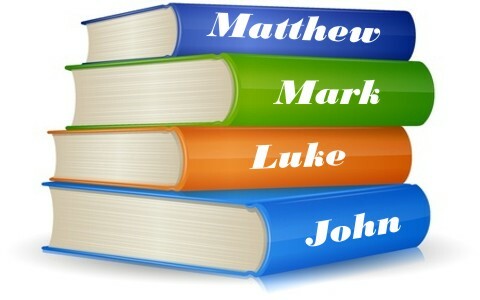 Here is a brief look at the 4 authors of the Gospels, Matthew, Mark, Luke and John. Matthew, being one of the 12 apostles of Jesus, was originally a tax collector or publican and was viewed as a betrayer by his own people. As usual, Jesus selects those who the world despises to become His disciples showing that God is no respecter of persons. Since Matthew was well paid, as were all of the tax collectors who would take more than even the Romans requited in tax revenues. Matthew, who was also called Levi, was the son of Alpheus (Mk 2:14; Luke 5:27), and his gospel is seen as a hinge on which the Old Testament closes and the New Testament opens and like a door, the reader can look back and see the many references to the Old Testament prophecies about Jesus Christ. As such, he intentionally focuses on the Jews and he uses many Old Testament references to point his readers to the fact that Jesus is the Messiah who was prophesied to come. Family lineage is very important to the Jews and that’s why Matthew traces Jesus’ family lineage all the way back to Abraham, the father of the Jews and of the nation Israel. Matthew does so in a highly accurate historical genealogy. Matthew also references at least 7 prophesies that were fulfilled in Christ and these Old Testament references to Christ’s fulfillment of them include the books of Psalms, Isaiah, Micah, Jeremiah, Hosea, Zechariah, and Malachi. Matthew wanted the Jews to know with certainty that the long-expected and long-anticipated Messiah had come and Jesus had perfectly fulfilled it. Most scholars agree that this gospel had to have been written in the late A.D. 50s or in the 60s during the early period of the church and less than one generation removed from Jesus’ earthly ministry. Mark or sometimes called and known as John Mark, wrote the Gospel of Mark but Papias who was the Bishop (or pastor) of Hierapolis, located near Laodicea and Colossae and an early Apostolic leader of the church, indicates that the Gospel of Mark is actually the testimony of the Apostle Peter and so it’s believed that Peter is the original source for this gospel. This seems highly possible since Mark spent considerable time with Peter, particularly in Rome, and could have easily written down Peter’s eyewitness accounts of his experiences with Jesus while Peter was imprisoned in Rome. The early church fathers all seemed convinced about this and through a careful reading we can see that the intimate details of this gospel was written from perspective of the Apostle Peter. It is believed that Mark must have had to write this for Peter since he was being held in a prison in the city of Rome. Mark’s Greek Style contains Semitisms that a Jerusalem Christian would better understand and so the Gospel of Mark is apparently written to Greek or Gentile Christians and the historicity of this gospel is empirical in nature by the mention of several eyewitnesses and the vivid description and detail with which it is written and makes it clear that it is a gospel that is seen through the eyes of the Apostle Peter. Most scholars agree that this gospel had to have been written in the late 50s or in the 60s while others believe that Mark was written between A.D. 65 and 70 just prior to the Roman destruction of Jerusalem in A.D. 70. Luke the Physician who wrote the gospel bearing his name and is also clearly the author of the Book of Acts has been hailed as one of the greatest historians of all time due to the empirical evidence of his dates, times, places, and names recorded in his gospel. Luke was a companion of the Apostle Paul and the many references of “we” and “us” in the Book of Acts, plus the introduction in Acts leaves no room for doubt about his authorship of both the Gospel of Luke and the Book of Acts (Luke 1:1-4; Acts 1:1-2). At one time, both the Gospel of Luke and the Book of Acts may have been one book separated as chapters might have been. There is no biblical evidence that Luke was ever a disciple of Christ or an apostle but instead, he was a Greek by birth and was a highly educated man who came to saving faith by Paul’s witness (Col 4:11). Luke’s audience may have been the Greeks since he himself was a Greek and that his purpose in writing this gospel was to reveal that Jesus was the Son of God. The Gospel of Luke contains the greatest number of medical references of all the gospels including that of the Birth of Christ, the Passion, and the crucifixion. Both the Gospel of Luke and the Book of Acts have been dated somewhere between AD 61-65 since there is no mention of the destruction of Jerusalem in A.D. 70 and it would have been amazing that there would have been no mention of such an historical event of titanic proportions. Also, the dating seems true since the ending of the Book of Acts shows that Paul was still living at the end (Acts 28:30-31). If I had only one gospel that I could have access to, it would be the Gospel of John because this gospel above all others shows the divinity of Christ and the great passionate love which He had for the disciples and lost sinners. This is the apostle of whom it was often said “the disciple whom Jesus loved” (John 13:23). John was concerned that his readers, like the church, Jewish Christians and even the Gentile or Greek Christians, knew that belief in Christ meant eternal life (John 3:16, 36) and that by this belief, they could have the sure knowledge of their security in Christ (John 6:37, 39; 10:28-29). Much of the content is John is unique to this gospel like the necessity of being born again and this gospel is the only place where we find the High Priestly Prayer of Jesus (John 14-17). The Passion of Christ is seen more clearly and intensely in this gospel than in all of the other gospels. John’s purpose seems to be that Jesus is both Man and God and that He is God incarnate, coming in the flesh (John 1) thus showing both the humanity and the divinity of Christ and as such, He is the one and only means by which our sins can be taken away permanently. The early church fathers were absolutely certain of John’s authorship just as they were convinced of his having written the Book of Revelation. While many scholars believe that this gospel was written before A.D. 70 and the fall of Jerusalem, most believe it was written after Jerusalem’s destruction in A.D. 70 and was written closer to A.D. 85-90. This brief survey of the writers of the 4 gospels gives the reader eyewitness perspectives from 4 different views. If there were 4 witnesses to an accident at an intersection that were placed at the corners of each area of that intersection, they would give details that had differing views yet all basically saying the same thing. The uniqueness of each eye witness would deem certain details as more important to them. None of the gospels contradict each other and in fact they support one another to varying degrees and show us the authenticity of Jesus’ birth, sinless life, Passion, crucifixion, and resurrection. The great historical narratives of these gospels clearly show that Jesus is both God and Man and as such, is the only possible way that we can be saved. His righteousness and perfect life can be imputed toward those who repent and put their trust in Him (2 Cor 5:21) thereby giving us peace with God (Rom 5:1) and lifting the condemnation that our sins had brought to us (Rom 8:1). The purpose of the gospels is to point sinners to the only way to receive eternal life. No one single gospel or even all 4 of these gospels can tell us of all of glorious things that our Savior has done. John concludes his gospel by writing “Jesus performed many other signs in the presence of his disciples, which are not recorded in this book. But these are written that you may believe that Jesus is the Messiah, the Son of God, and that by believing you may have life in his name.” (John 20:31). What a great synopsis of the four Gospels! Thank you Pastor Jack. Thanks brother…always the Barnabas. I hoped that people would realize it was only a “fly over” or what our seminary books were called “A Survey of…” but you are so kind my friend. Over the years I have come to the conclusion or decision it really doesn’t matter who wrote any of the books of the Bible or any of the other early Christian and ancient writings. The important thing is we study and learn to glean the truths and wisdom contained therein to advance our spiritual maturity. Some, as I have in the past, get overly caught up in nitpicking the literal words, when it was written, and who wrote it. In so doing we often miss the great lessons and spiritual meaning conveyed in these wonderful works of literary antiquity. So true…surely God is the Author of all Scripture, being God-breathed. This article doesn’t argue with that fact…this was only a synopsis of the human authors of the 4 gospels…sort of a brief flyover so that people would know more about these men who God used to write the inspired Word of God. Thank you. (Pastor Jack, since I am new to the world of “blogging—this is blogging, correct?—please let me know if I overstep here. If I did, I am glad you can delete this 🙂 ) Joni, if you would like to see a Bible passage in different versions of the Bible, I would recommend you visit http://www.biblehub.com. Since I am Hispanic, I like to read the Word of God in Spanish and English to see if I understood the same thing in both languages. I still need my Bibles in hardcopy form though, because I like to underline and highlight verses; but sometimes I want to find a verse faster and so I go here. I hope this helps you as it has help me. Thank you Carmen…yes, I do use Biblehub because it has various translations on the same webpage. It is very helpful. Thank you so much and may God richly bless you my friend. My favorite gospel is the Gospel of John.